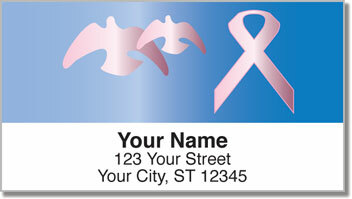 The recognizable pink ribbon and peaceful doves come together as symbols of strength and compassion on inspirational return address labels. This design was created to help you raise awareness about breast cancer prevention and detection with every piece of mail you send. 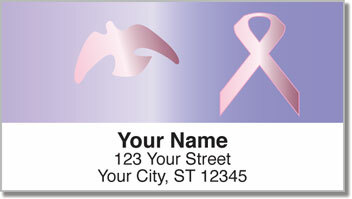 Whether you are survivor or know someone who has fought breast cancer, these labels allow you to spread a little hope. 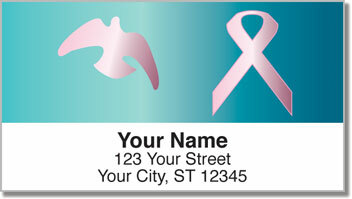 Care Dove Address Labels are exclusive to CheckAdvantage. The self-adhesive backing also makes them a convenient tool for preparing envelopes and packages. 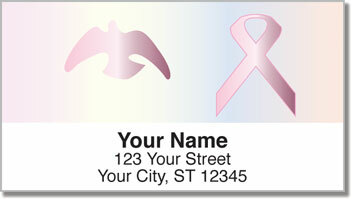 Get your very own Care Dove Address Labels now! You can also order this design as a set of matching personal checks.